I like to post lots of pictures of the equipment I use in the field. This is true for all of the most used antennas in my toolbox. The MP1C, MPAS, F-LOOP, and ofcourse the P-LOOP. Twice last week people have asked me about the booster kit I refer to in blogs and Instagram posts. I thought to myself if P-LOOP & F-LOOP owners working portable don’t know what the “booster kit” is, then I should probably make a Blog post or video highlighting this cool add-on. The booster kit is an add-on kit for the F-LOOP 2.0 & P-LOOP 2.0. It includes a 48inch wide main loop, and 8 inch pickup. The reason I think this is important is a question which pops up from time to time. “How do you get such good results with the P-LOOP 2.0, while running such low power?”. Now to be honest, initially I thought “these operators need to get to a little bit more practice in the field”, but after the booster kit question, I realize people probably haven’t noticed the larger main and pickup loop on my P-LOOP. For the record I never remove the booster kit from the P-LOOP 2.0. I have no use or interest in 12 or 10 m, so the loss of those bands in exchange for more efficiency on 40 through 15 meters, is an extremely good deal. I really need to apologize for not highlighting this before. Like I said I don’t get paid to make videos, so it is possible that I can miss the obvious from time to time. With all that said, I know it’s difficult for operators to invest more money into a commercial antenna system. 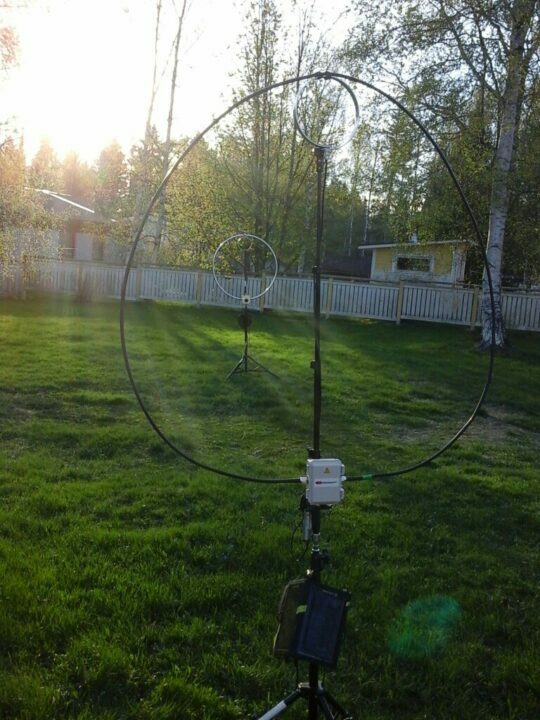 For the clever amongst you, use my DIY magnetic loop antenna video to make yourselves a pickup loop, plus the main loop using measurements found on the chameleon website to build your own booster kit.